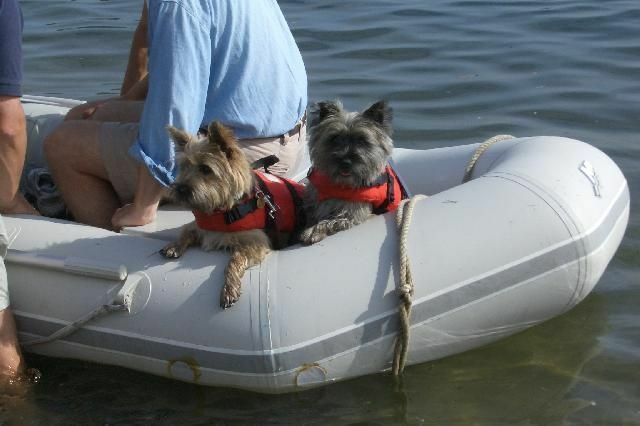 If you have visited the many Cairn Terrier Web Sites on the internet, you may have read much about our beloved Cairn Terriers. Briefly, they originate from the northwest highlands of Scotland and were kept by Scottish Lairds as a hunting dog. In this rough, harsh terrain they evolved naturally over hundreds of years. They were bred solely for their hunting ability and were used to hunt in packs, (called "cullach de madaidhean"). As far back as the 15th century there are references to hardy, game, rough coated, low bodied dogs who would "go to ground" to flush out vermin. These are the anscestors of our cairns today. Most responsible breeders are keen to maintain the true nature of the original cairns - alertness, gameness, soundness, and, of course, a truly great temperament. Cairns make great pets! They require little grooming and are extremely adaptable. They are equally happy to live with a boisterous young family with a number of children or with a quieter family of adults - or just one doting owner. They usually respond quite well to training, (although tend to be a bit stubborn at times! ), and can be toilet trained quite easily. Their needs are few - a securely fenced yard, warm shelter, exercise, (they love their walks), minimal grooming and an adequate diet. Cairns come in a wide variety of colours, often brindled and often changing. The cute little wheaten puppy that you purchased can end up a beautiful silver grey or nearly black dog in 3 years time. Others remain the same colour, except when their winter coats are removed and a fresher colour appears underneath. They are truly a "magic dog" with their ability to change colour. On this page are photos of some very special Lochrin Cairns, pictured doing "what cairns do" with their families. We see some of them regularly, and others we just see in photos sent to us from their owners who are delighted to tell us all about their latest exploits. They are all loved dearly by their owners and they all hold a special place in our hearts. I would now like to indulge myself with my own personal opinion the Cairn Terrier, (with my sincere apologies for being so biased.) 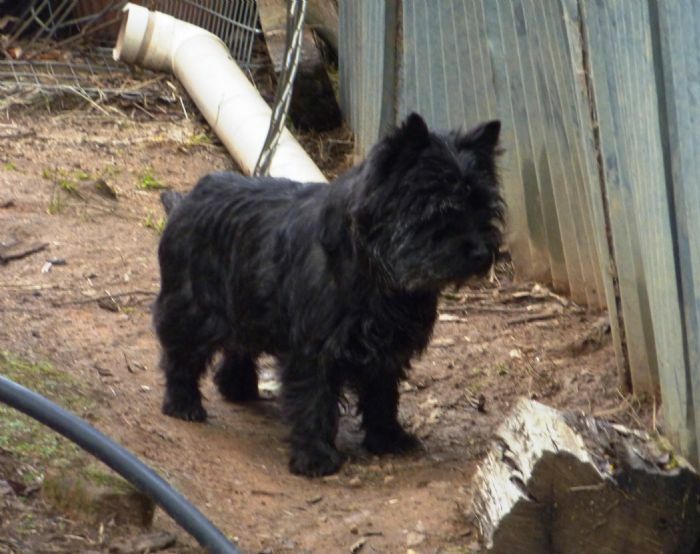 I believe that once you own a Cairn it will be difficult for you to ever own any other breed of dog. Their expressive little faces, ear carriage,and engaging antics will cause you to spend hours of time being with them and ensuring that they become a real part of your family. In fact, the more time you spend with them, the more they respond - not only to your words but to your body language as well. They love humans and are natural "sticky beaks", wanting to know everything you are doing. They have great intelligence and curiosity, and they remain "young" until they are quite old. (Life expectancy on average is 15 years.) 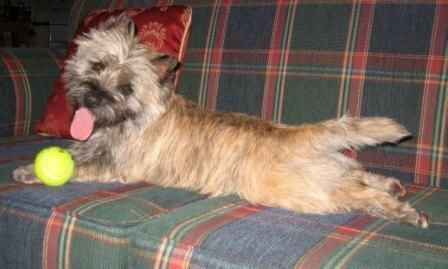 So, I warn you - if you buy yourself a Cairn Terrier, expect a lifelong obsession with this wonderful little character.